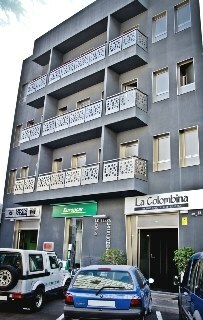 Our entire staff would like to proudly welcome you to the Hotel Residencia Colombina. Beach Hotels are easy to find, but they are not all created equal. Make the right choice and book a room at this quaint hotel to enjoy all of its features and benefits! 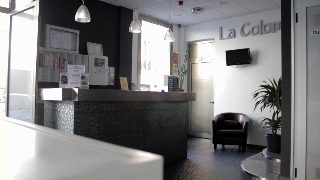 Our hotel offers 23 double rooms and 3 single rooms. Our hotel also offers car rental at great rates. You will find internet access in every room. WLan is also included in the spacious public public areas of the hotel. You will find an easy-to-use air conditioner in every room. One of the hotel's features is cable TV for visual and audio entertainment that is located in every room. We'll be happy to book you into one of our well-appointed rooms for non-smokers - please let us know you requirement when making a booking. Each room in our hotel has its own bathroom en-suite. 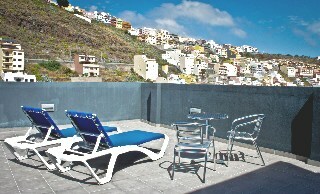 Rooms with balconies are also available upon request. 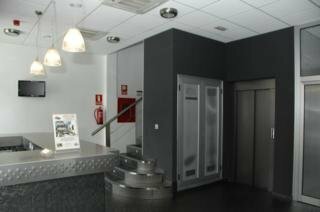 The hotel offers numerous conveniences to make your time here with us more enjoyable, for instance our tanning shop. 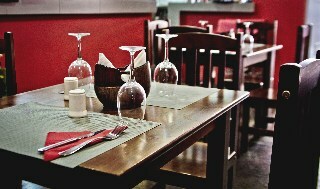 Our gourmet eatery and pleasant hotel bar offer wholesome meals and bottled and mixed drinks of all sorts. Being away from home is hard enough without worrying about breakfast, so we take care of it for you! Payment is simple at the Hotel Residencia Colombina, using one of the following credit cards: MasterCard/EuroCard, American Express, Visa, Diners Club.